Full disclosure: living on Marsden Street has zero association, affiliation or history with the chisel-jawed actor, James Marsden — sorry. Glad we got that cleared up. 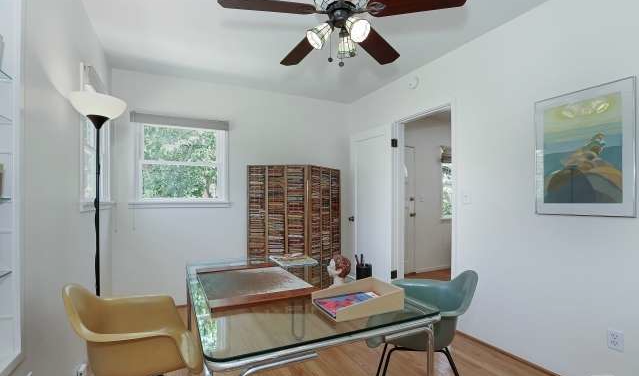 On the plus side, what you’re getting is a lovely traditional 1940s 3 bedroom, 1.75 bath home with plenty of updates. 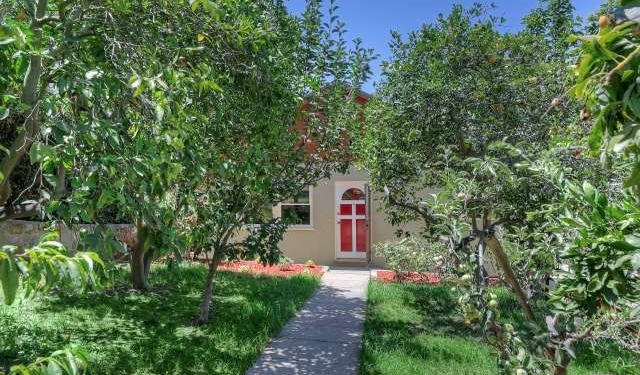 In case you’re wondering, those are apple trees lining the walkway. 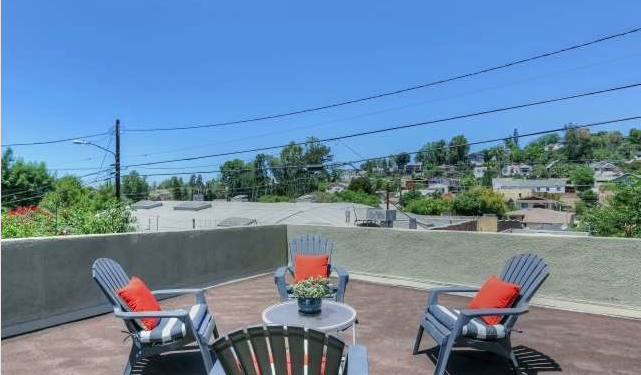 As is becoming par for EP, we’re seeing close to a million dollars for homes such as this, with this particular 1,500+ sq/ft unit coming up for $865,000, which seems a tad high for a market that’s been cooling off slightly. 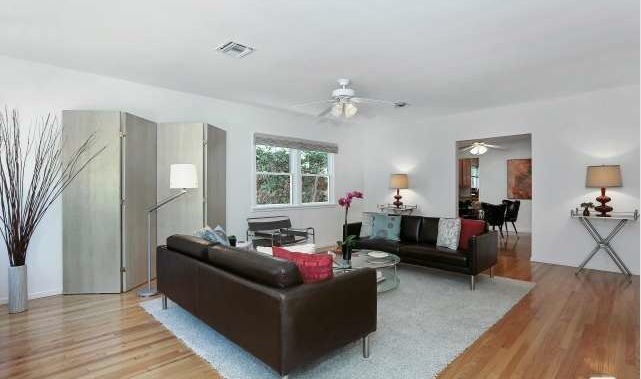 A sizable living area, with refinished light hardwood flooring, greats you upon entry. The home has also been updated with central air & heat, dual pane windows and a new sewer line (advertised as clog free until 2033!). 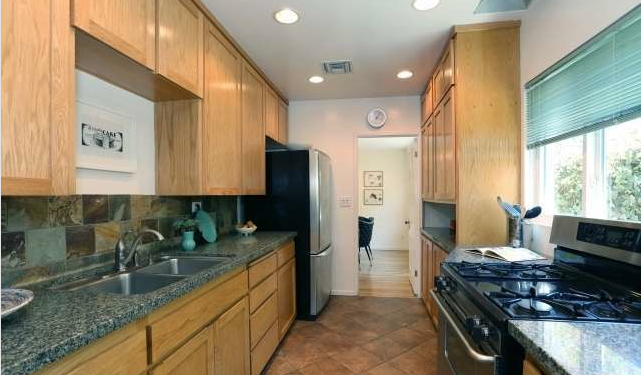 There is a natural flow from the living room, to the dining area, and ultimately to the updated galley kitchen with granite countertops, gas range, the ever necessary stainless steel appliances and more than enough cabinetry. 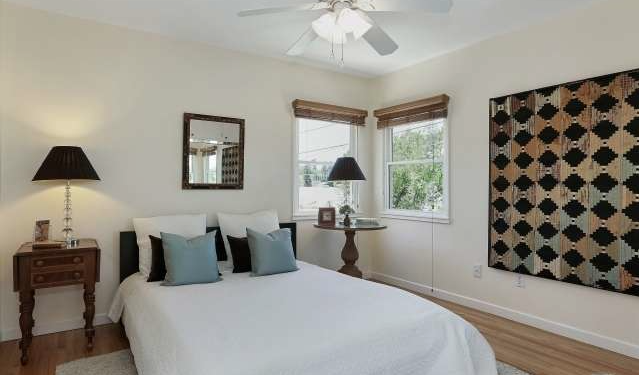 The master bedroom is comfortably-sized with a private bath that includes a pedestal sink and a super duper green shower and tub. I know you’re envious. The tub doesn’t lie. 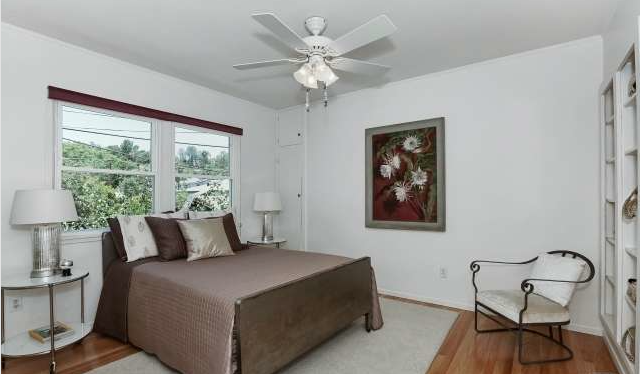 Certainly no complaints regarding the other two bedrooms, with each one being beyond adequate. 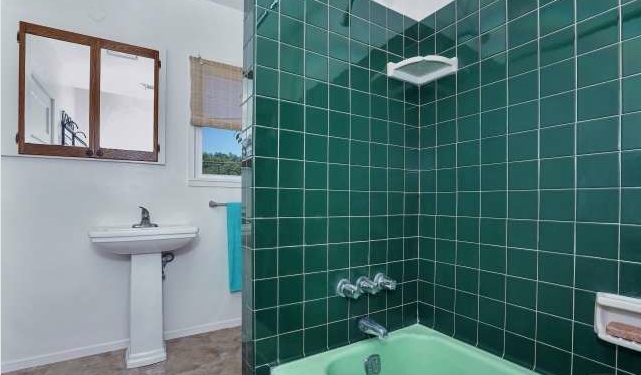 The .75 bath with modern tile work is also surprisingly pleasant given the state of the other one. 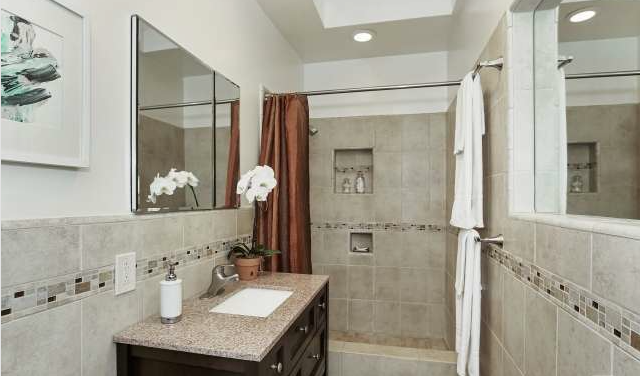 The dual towel rack is also a nice touch. 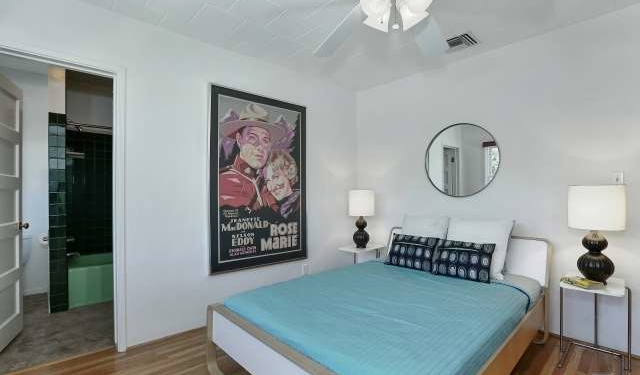 Additionally, you’ll find both a den in the main house that could be used as a fourth bedroom and a separate studio room to either hide from family or practice whatever craft is calling you. There is also a good deal of outdoor space that includes both a covered dining area and a lovely roof-top deck to enjoy 360 degree views. 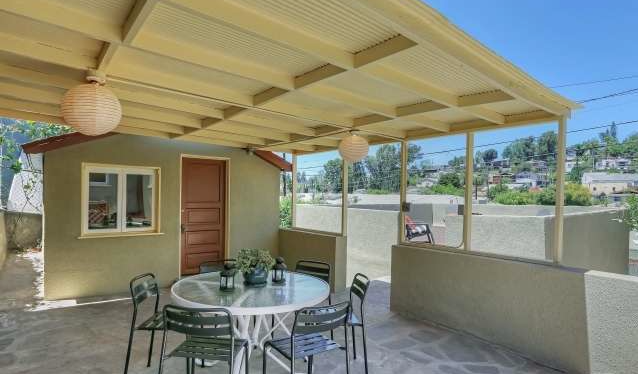 Overall, a great home with a lot to offer. For a private showing, please contact Jovelle Schaffer at jovelle@jovelle.com or call (213)-718-1110. 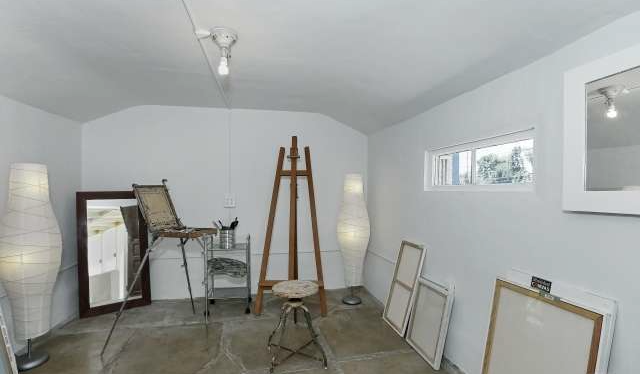 George Moreno of Keller Williams Realty, Los Feliz has the listing.